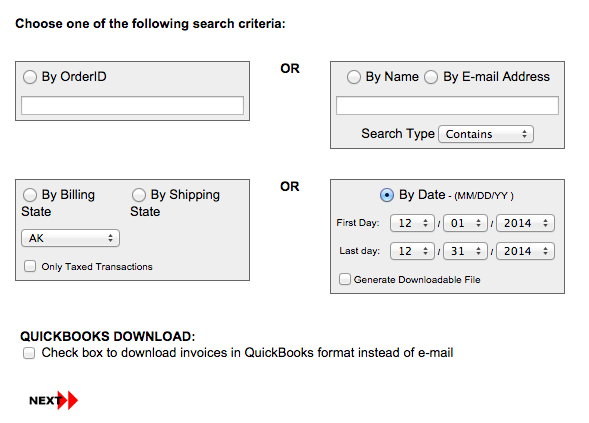 In the example above, the search will return all invoices generated between 12/1/2014 and 12/31/2014. The invoice will display. 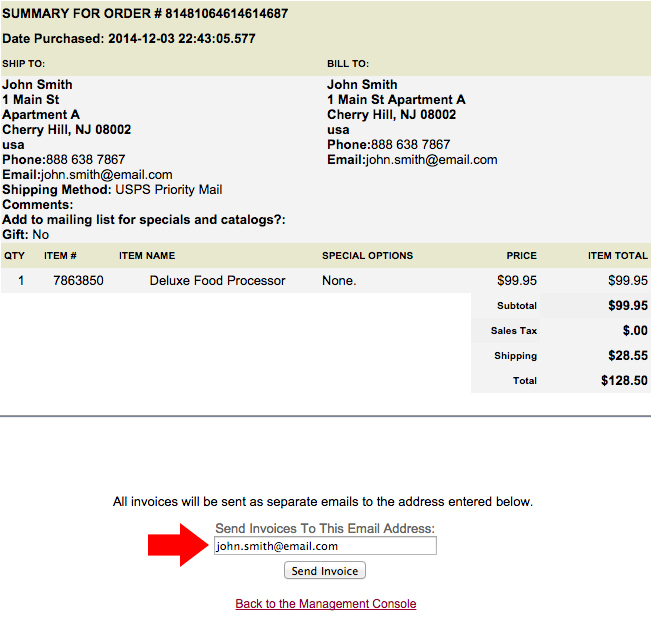 If you'd like to print a copy of the invoice, use File Print in your browser window. If you'd like to email the invoice, enter the email address you'd like it sent to in the Send Invoices To This Email Address textbox.